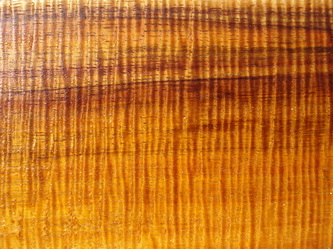 Acacia Koa is the best known of the endemic Hawaiian woods. 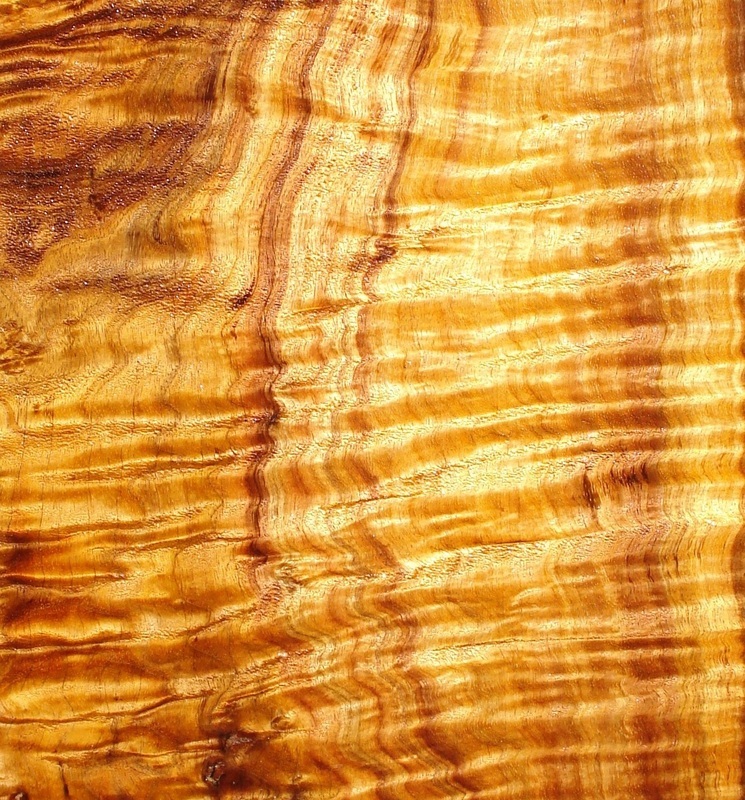 It is the largest native Hawaiian tree attaining heights of 50 - 80ft with a canopy spread of 20-40ft and a trunk diameter of 10 to 25 feet. 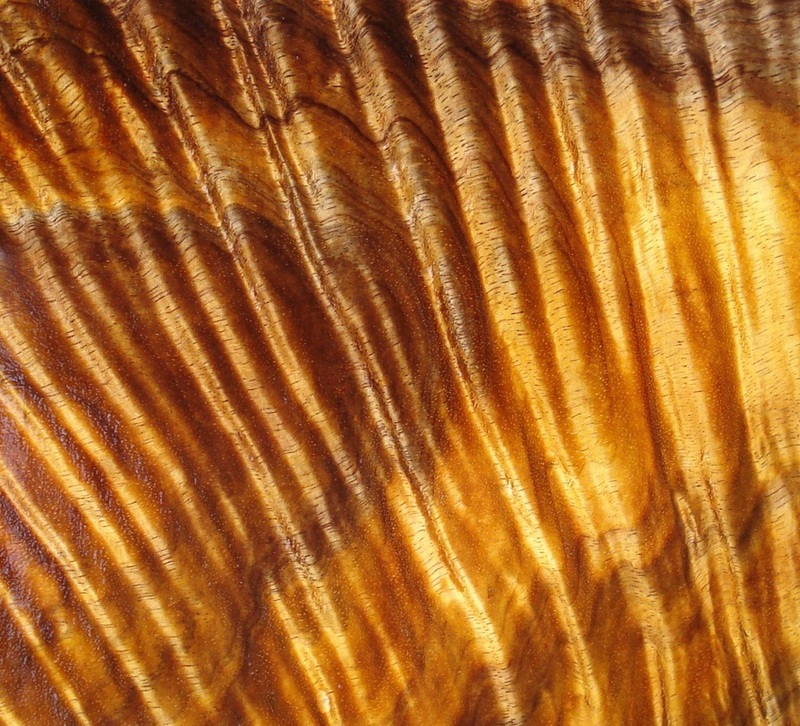 Koa can typically be found at elevations of 330 - 7500 ft. 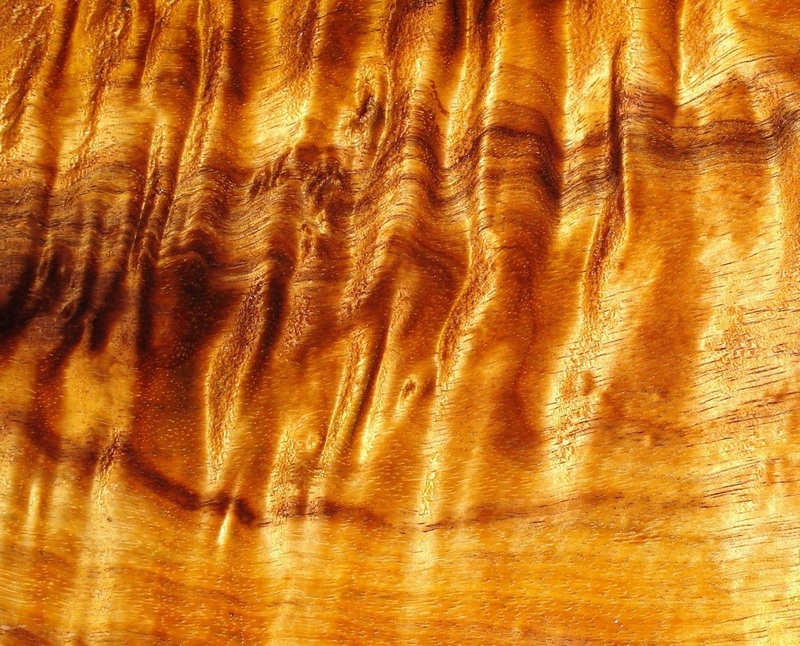 Early Hawaiians used logs to build canoes, spears and paddles, with canoes carved out of a single tree. 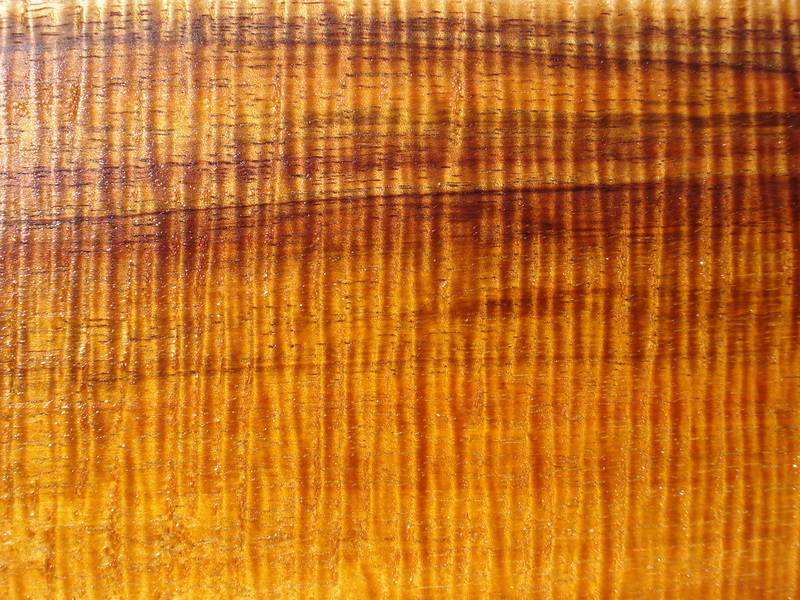 The leaves and ashes of the Koa tree were also used medicinally, with tannin from Koa bark used as a dye for traditional bark cloth. 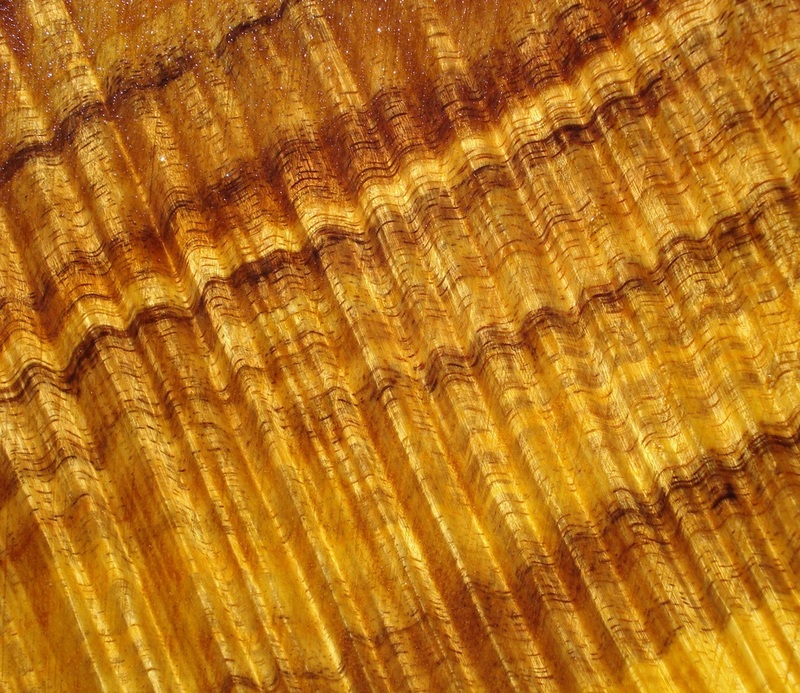 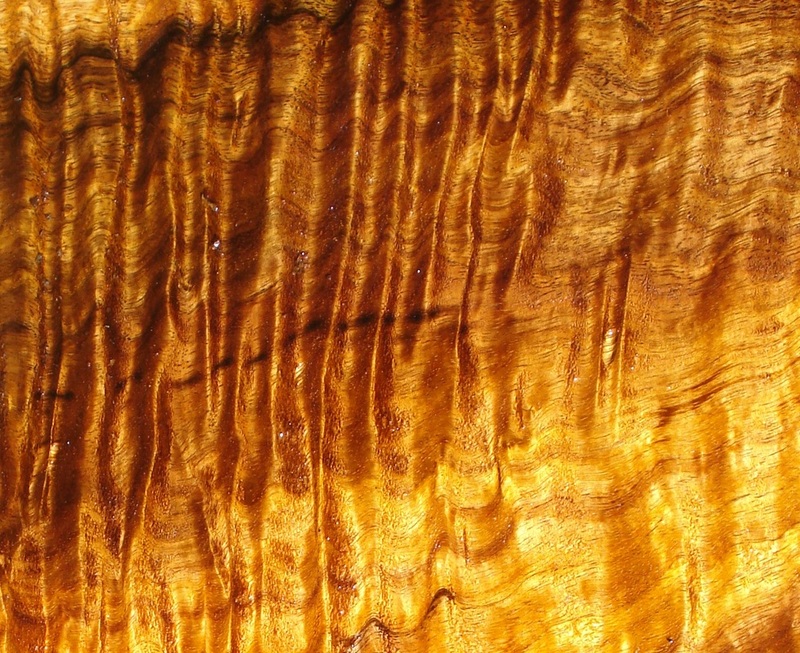 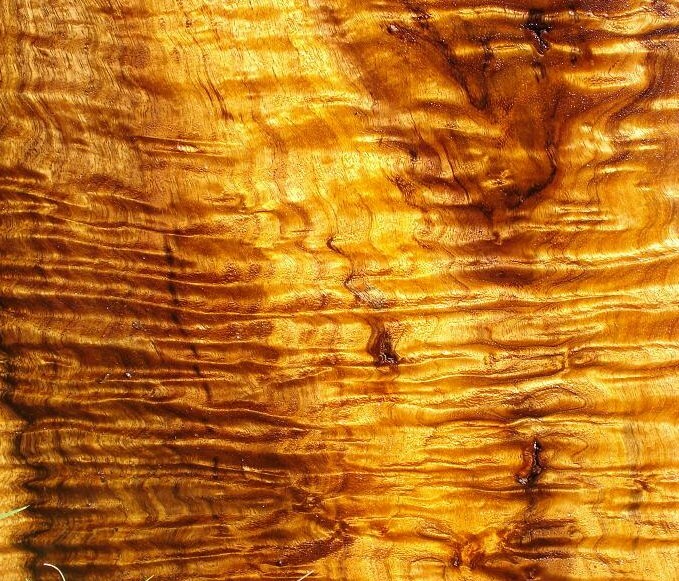 Koa is highly valued by luthiers, furniture and craftspeople throughout Hawaii and the world. 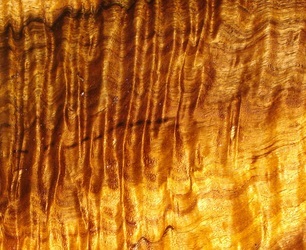 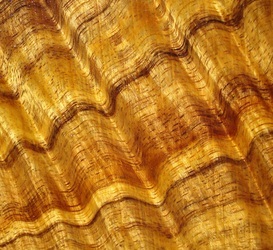 Its unique grain, from plain to a truly amazing range of different types of curl, gives the wood an almost 3d appearance. 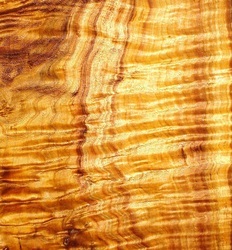 Curly-grained wood is the result of both stress, genetics and growth conditions. 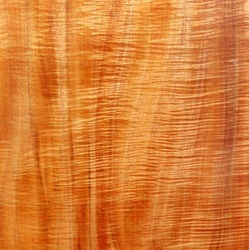 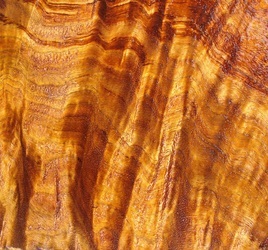 Koa is also renowned for its depth and range of colour. 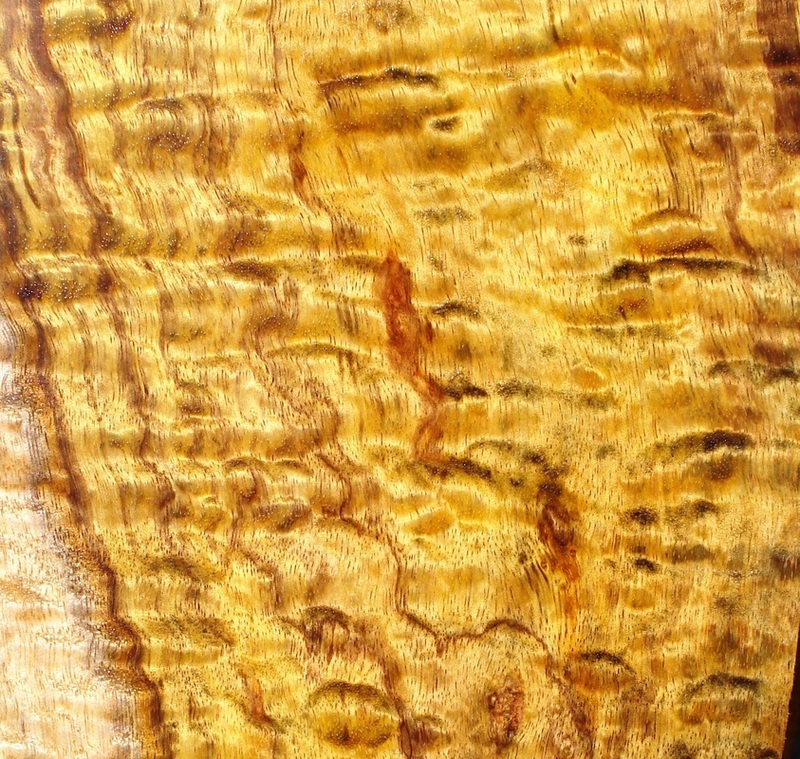 From the traditional dark chocolate browns, to rich fiery red and orange - even the sapwood is truly gorgeous with an iridescent silver like shimmer. 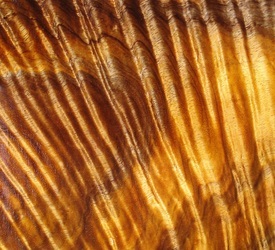 Native forests provide unique wildlife habitat, critical watershed recharge areas and recreational opportunities. 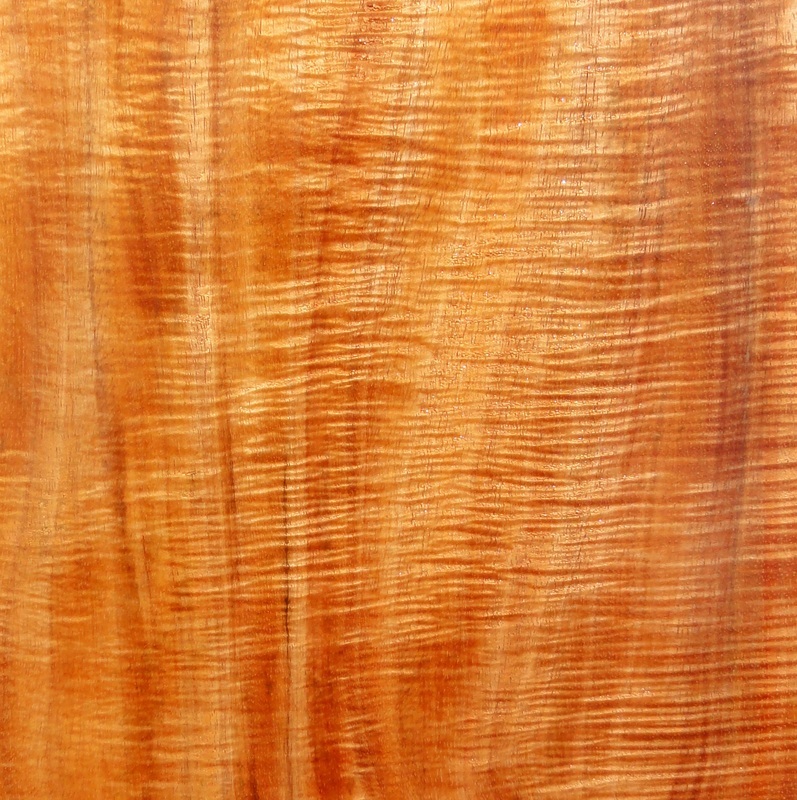 Unfortunately, clearing for agriculture and cattle have negatively impacted on Hawaii's once extensive Koa forest and the wood is becoming exceptionally rare due to dwindling availability to harvest. 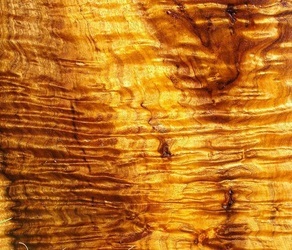 The beauty, desirability and scarcity of Koa is reflected in its price, elevating Koa to one of the worlds most expensive and sought after woods.